Soils may be contaminated by man-made chemicals – such as petroleum hydrocarbons, polyaromatic hydrocarbons, chlorinated solvents, volatile organic compounds, heavy metals and PCBs – as a result of spills or uncontrolled discharges into the environment, or through historical events/activities (i.e. industrial processes, fueling facilities, automotive service facilities). Where the contaminated soil has an adverse effect on the environment, the Ontario Environmental Protection Act mandates that the affected soil must be removed or remediated. Excavation and removal of the contaminated soil is an ex-situ clean up method that is used where in-situ clean-up methods may not be practical. It is the quickest way to deal with contaminants posing an immediate risk to the environment and is cost effective for small amounts of contaminated soils. Excavation and removal is often the choice for real estate transactions and/or financial institutions that require removal of contaminated soil in order to meet deadlines to effectively eliminate any liability of environmental risk associated with a property. A less costly means of dealing with contaminated soil where remediation is not restricted by deadlines is bioremediation that incorporates specialized microbial compounds that degrade contaminants in soil. The process can be completed in-situ (in the subsurface at the site) and/or ex-situ (excavate/pile the soil and treat it on-site). Bioremediation is typically a long term solution that is a cost-effective alternative to “dig and dump” methods of remediation. In-situ remediation can take many forms. Comco has the knowledge and experience to design, install and operate an in-situ system specific to the site requirements. In-situ treatment requires regulatory approval from the Ontario Ministry of the Environment and Climate Change (MOECC) in the form of an Environmental Compliance Approval. Comco can complete the necessary documentation to obtain these approvals. On occasion bench side or pilot testing is required to select and confirm the treatment, often Comco can provide these services as well. Groundwater extraction and treatment (pump and treat) using filtration and absorption. 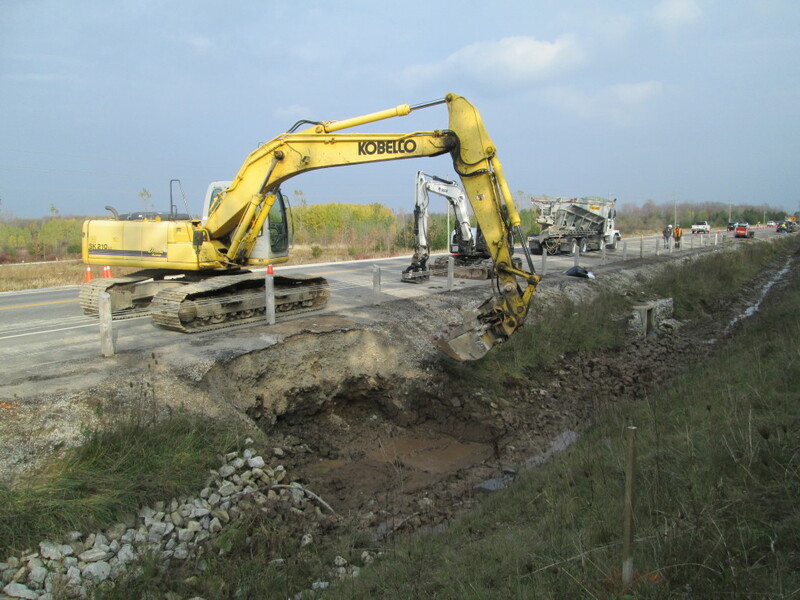 Comco Canada Inc. has extensive, successful experience in remediation of contaminated soil. Our staff of Engineers, Geoscientists and Environmental Technologists, collaborate with our clients to provide remedial solutions that work effectively and efficiently.